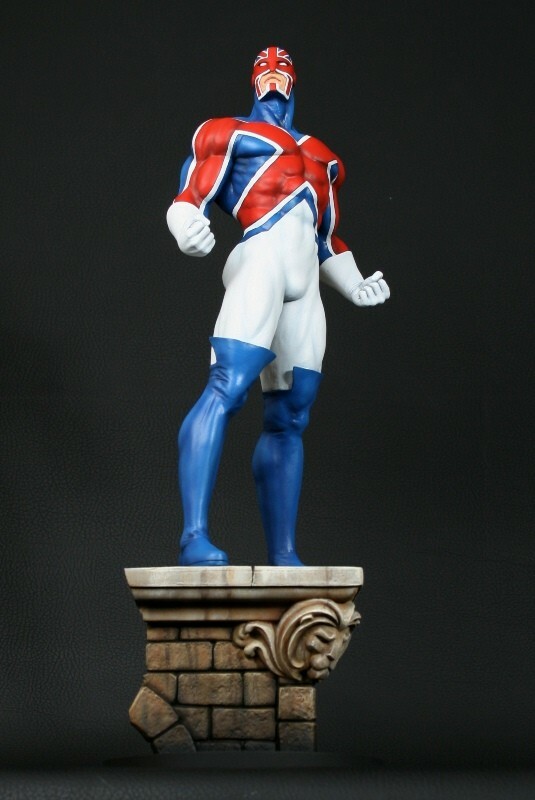 Brian Braddock, granted powers by the wizard Merlin, became the United Kingdom's patriotic champion, Captain Britain. In adventures on his own, with the Avengers and Excalibur, or alongside the operatives of the secretive MI-13 agency, Captain Britain has been at the forefront of the fight to uphold the British way of life and defend the crown from all enemies. This legendary hero comes to life as a 16" tall statue, sculpted by Mark Newman.